This article will be used by teachers who wish to hide a page from the navigation menu. 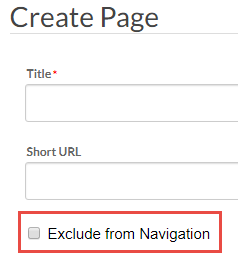 Check the Exclude from Navigation box as pictured below. Highlight the page in your sitemap by clicking on the page row, then click the gear icon. 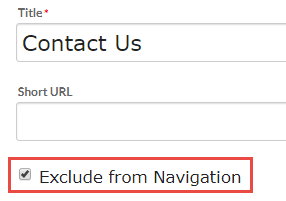 In the popup window, check or uncheck the box for Exclude from Navigation. Hidden pages do not appear in any navigation menu, but will appear in the sitemap in fainter type with the hidden designation as shown below.